The ideology of this game is very simple; you just need a pair to win the game. You win perfect pairs wage when the first two dealt cards to you make one pair and you loose if they don't make a pair. 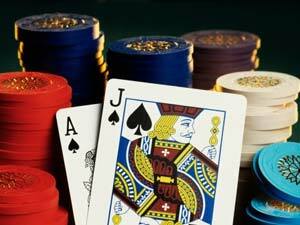 In case of baccarat and mini baccarat; Perfect Pairs wage is made on banker's hand, players hand and both hands. There are three different forms of pairs: colored pair, mixed pair and perfect pair. The winning amount for these three types is even different. Perfect pairs wage is made before the first cards are dealt; it is even supported by regular blackjack wager on similar betting box. It has been recorded that perfect pairs have increased player's interest and turnover. Every body can play this bet, its is very simple, the bets are acted and decided by dealer after completion of opening deal and this does not affect the strategy of player's playing blackjack. Double counting cannot be done in Perfect Pairs; this bet keeps the players interested because of high rate of win and high payouts. A player can bet as much as he can on every box that player has made a wager on. Due to this the players and gamblers become more interested in the game. This bet has the ability to ignite excitement among players; it provides high payouts. It shows a completely different side of blackjack. Two cards are called pairs when the real value of both these cards is same. The original real value of these two cards has no significance. This means that the cards do not pay different according to the numbers and letters printed on the cards; payout remains constant. There are three forms of pairs; the difference among three forms of pairs is due to suits of two cards that forms the pair. Mixed Pair: In mixed pair one card is colored red and the other card is colored black. For example: red of three and black of three. Colored Pair: In this case the pair is either made form a suit of red cards or a suit of black cards. The card number or face value should always remain the same to form a pair. For example: black of 6s. Perfect Pair: This is a name used for an identical pair. For example: hearts of 8.